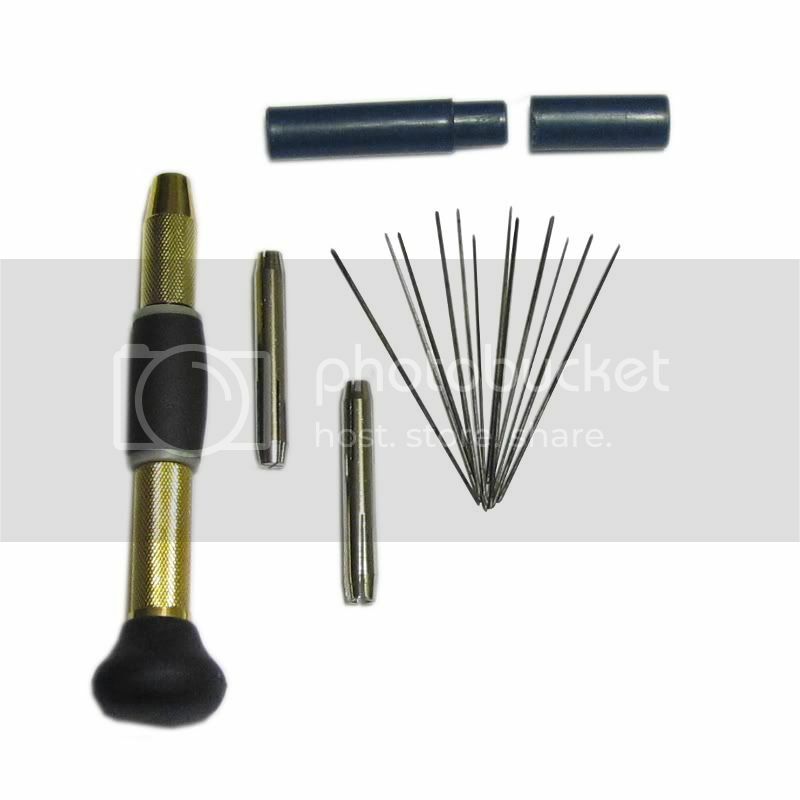 This is a handy set of 12 of spring hole broaches for clarinets, flutes and other small woodwind instruments. These are used to enlarge spring holes in posts for keys in which larger diameter springs are desired. Includes a multi-purpose pin vise for holding the broaches. 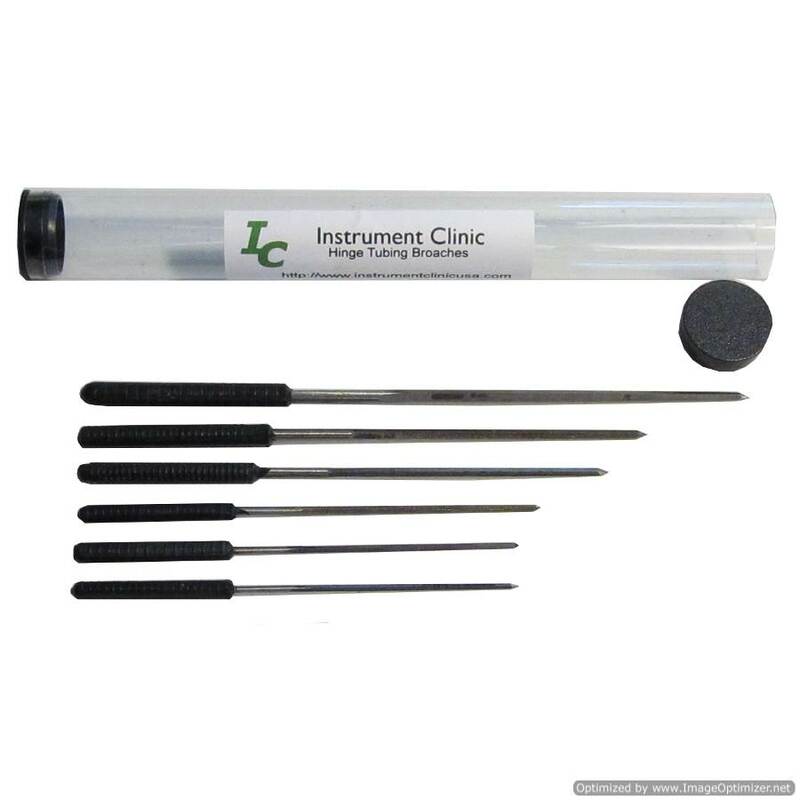 Please note: these broaches are for smaller holes (.018"-.030"). These are not large enough for many saxophone springs.